This web-class is a clear expansive transformational experience that helps you to embody the right attitude for effective manifestation and truth realisation in your life. A very powerful transmission from the Mystical to the Practical with clear information and instruction to help you start manifesting straight away. Once Payment is made you will immediately receive the download link via email. 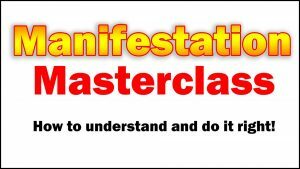 The Manifestation Masterclass has been a powerful and effective addition to my ongoing personal development work. It helped promote insight into areas of my life in which I had been struggling and gave not only practical tips and guidance but also encouraged me to come back to my true inner soul purpose, passion and vision. I feel more aligned with my purpose and much more encouraged to act directly on my creative impulses. There is an energetic shift happening for me and I find it easier to speak my own voice. I had a lot of the concepts about Manifestation floating around in my head, not all making sense to me on how it all works and how to make it work for me, Now its crystal clear and i’m on it! Excellent course – Highly Recommended !!! Since the Manifestation Masterclass i have had a huge shift. I’m putting things into action instantly, and the results are AMAZING me!